Normandia Ducatus - Janssonius, J. Size : 14.9 x 20.3 inches. / 37.8 x 51.6 cm. 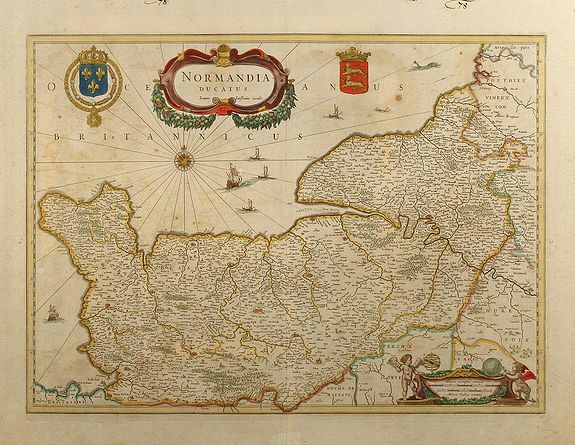 Description :Attractive map of the Normandy in France with the Channel to UK by Jan Jansson. Various ships and coats of arms. Condition : Manuscript numbers in top margin by old hand, some overall age toning, repair on centrefold in lower margin, good condition.